A view from 2100 of the era in which Stanford flipped the axes of knowledge and competency. Take a look into archival footage returned from the future to discover how the university model was turned over by Axis Flip. It was called the Crime of the Century. Ten days after the great 1906 earthquake, many of Stanford’s historic buildings were piles of rubble. The wreckage revealed that contractors had taken unacceptable construction shortcuts. The University resolved that Stanford students would never again be left without a strong foundation. Over the next decade, Stanford re-built physically and academically. As one of the original pioneers of the undergraduate major system, Stanford organized its degrees around specific bodies of knowledge called departments. This major was again reinforced with general education requirements in 1920.
university as society’s keeper of information was changing. At the same time, the volume of data and information being generated by humanity grew so quickly that new tools for analysis in virtually every field became essential. Traditional disciplines started to converge and then splinter into new areas of study at an unprecedented rate, and the integration of digital tools for data analysis rapidly altered the landscape of every academic department. In 2012, a large, multi-disciplinary committee completed a detailed assessment of Stanford’s educational offerings and issued the SUES report (Study of Undergraduate Education at Stanford University). The SUES report redefined the goals of a Stanford education: owning knowledge, honing skills and capacities, cultivating personal and social responsibility, and adaptive learning. It also offered initial approaches for educating students according to this mandate. Starting in 2020, the University made a big bet on a new type of undergraduate focus that emphasized rigor around common and transferable skills to help interpret, navigate, and synthesize the growing world of information. Instead of building foundations solely in a unique discipline, students mastered skills and competencies, which became building blocks that could be “rearranged” and translated across a myriad of work contexts throughout their lifetimes. 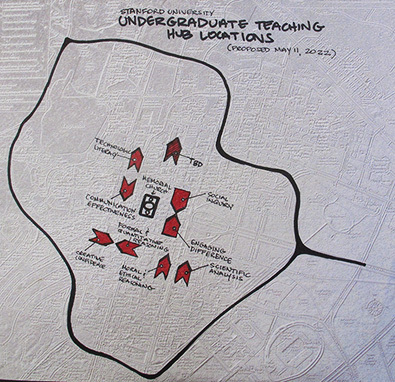 In 2024, Stanford launched undergrad teaching hubs built around ten competencies, with a Dean appointed to each. 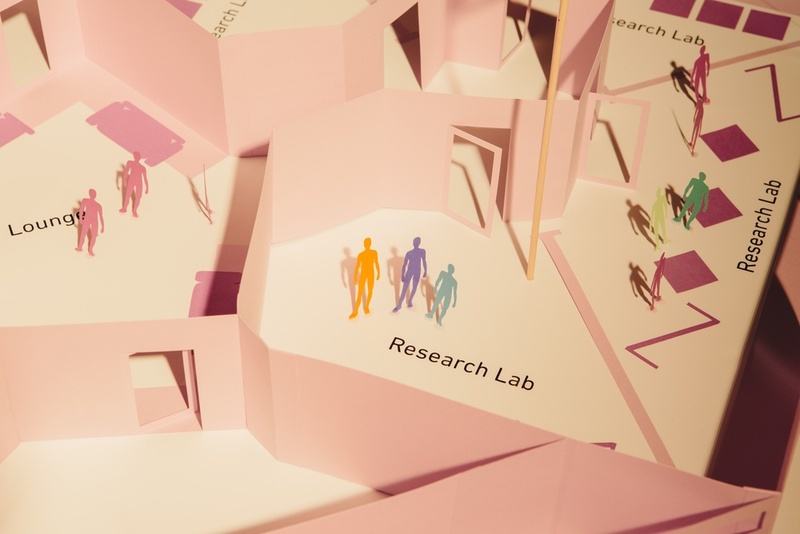 The Deans of Scientific Analysis, Quantitative Reasoning, Social Inquiry, Moral & Ethical Reasoning, Aesthetic Interpretation, Creative Confidence, and Communication Effectiveness created physical hubs to which faculty co-located for periods of time to develop new courses and teach those courses. Early into this experiment, Stanford discovered that the most impactful courses were in the unexpected intersections (such as Social Inquiry + Computer Science or Quantitative Reasoning + History). Following an emerging pattern of interdisciplinary study, such as the early HCI, BioX and CS+ degrees, these fateful intersections of disciplines and competency hubs led to the creation of some of Stanford’s most celebrated fields of study in the mid-21st century: Artificial Intelligence for Social Inquiry, Quantitative Global Affairs, and Right Brain Finance. Undergraduate teaching faculty were acclaimed for building a portfolio of courses that spanned the 10 competencies. Stanford PhD students, trained in course design using this approach, became the most highly sought-after junior faculty at top universities around the world. Stanford paved the way for higher education to finally disseminate content knowledge online and afford students more intimate, collaborative time with faculty for contextual application and ultimately, mastery of core competencies. Stanford also revolutionized the transcript, an obsolete, retrospective, and metadata-poor record of time spent, rather than skill or knowledge acquired. It was replaced by the “skill-print,” a unique, living artifact of competencies that became a coveted tool for employers to assess the potential of a candidate. Stanford students were aggressively recruited for their versatility and their ability to learn and adapt as rapidly as their companies and organizations evolved. Though many students continued to work within existing organizations, the majority began charting new career paths and defining new roles that did not exist when they entered their undergraduate experience. The rallying cry upon the inception of this paradigm shift was “Get off your axis!” AXIS FLIP: It’s not what you know. It’s how you use it. Stanford built a strong foundation in the Axis Flip era. Its original motto, “the winds of freedom blow” was amplified as graduates became known as agile navigators of an increasingly ambiguous world.